It can't be emphasized enough the dengue fever is a deadly viral infection that exacts a considerable burden on the world. Any tool to diminish this impact would be welcomed by the world. This mosquito-borne virus has a unique aspect about its pathophysiology that makes it especially intriguing and difficult to develop a vaccine against. There are 4 types or strains of dengue virus (maybe five) that circulate and it has been shown that antibody-based immunity to one strain enhances the severity of subsequent infections with the other strains. This phenomenon is known as antibody-dependent enhancement and is what accounts for severe dengue. Because of this capacity of dengue, it is essential that any vaccine not induce antibodies that lead to enhancement of infection. The only dengue vaccine on the market to seemingly clear this hurdle was Sanofi Pasteur's Dengvaxia which has been licensed in several countries (but not the US). This vaccine, based on a yellow fever vaccine platform, is protective against 4 strains of dengue. Dengvaxia has been in the news because of new longer term data showing that in those with no prior immunity to dengue, the vaccine increases the chances that infection will lead to severe disease. Perhaps vaccine induced antibodies -- in the absence of any naturally formed antibodies -- are enhancing. Interestingly, in the clinical trials of this vaccine an increased rate of hospitalization and severe dengue was noted in children less than 9 years of age which restricted its use to those above 9. I wonder if this is because those younger than 9 are more likely to have escaped natural dengue infection and be liable to develop severe dengue due to vaccine-induced antibodies. Of course, some people may reach 9 years of age and escape natural infection and have a similar risk as those below age 9. It may be that restriction of the vaccine to those with laboratory confirmed dengue -- irrespective of age -- will be the best way to salvage this vaccine as a tool to prevent severe dengue. However, adding a lab test will considerably increase the costs and logistical difficulty of deployment. This finding also makes it very difficult to market the vaccine to travelers, most of whom will not have any natural dengue antibodies. While this negative finding is clearly a setback for Sanofi, the dengue vaccine field, and for the countries using the vaccine it should be seen as a validation for the rigor of post-licensure vaccine safety testing in which this signal was uncovered and openly publicized. This finding should not be misinterpreted as some way to bolster the veracity of the anti-vaccine movement (which I am sure is inevitable) and be used to smear other vaccines to which this finding is wholly inapplicable. What is the difference between baptism and vaccination? That's a question that is raised in the latest episode of Showtime's SMILF. SMILF is a clever new comedy based upon the life of Frankie Shaw, who has multiple roles (star, writer, etc.) in the show. On first glance, readers might say that baptism is a mystical religious ritual and vaccination is a science-based medical practice that are completely different and they would be right. But Shaw, ingeniously, sets up a great juxtaposition. A couple of episodes back her character Bridgette, confronted with the threat of chickenpox in her unvaccinated child and realizing the child's biological father's opposition to vaccination (because he believes they are poison and government mind control), has the child surreptitiously -- and laudably -- vaccinated. End of story...except for the baptism issue. Bridgette, again very admiringly, is not religious and has not permitted her son to be baptized despite her mother's fervent Catholicism. When the child's father finds out about the vaccination and simultaneously is offered an opportunity to have the child baptized, he falsely creates an equivalency between the two actions and has the child baptized. It's this false equivalency -- in the face of a gulf wider than the Red Sea--that is worth thinking about. Vaccination, in 2017, is performed because of the clear benefit it offers the individual being vaccinated against specific infections for which the risk is not neglibile. This benefit is evidenced by falling childhood mortality rates, rising lifespans, and the recession (and even the eradication) of vaccine-preventable diseases. Vaccination is performed because it is evidence-based, biologically-plausible, and has proved tremendously successful. Baptism, on the other hand, is none of this. It is performed to supposedly nullify the sin that every human is allegedly born with through no fault of their own. These "sinful" babies, if they fail to be baptized, are prohibited entry into a paradisiacal afterworld. To me, nothing can really be more cruel or calculatingly devious than to morally damn all humans by virtue of their being born and offer as the only solution a primitive ritualistic practice. Far from being a protective like vaccination, baptism is the opposite for it exposes one to the true poison of religious dogma that one is immersed in along with the "holy" water. The true baptism is one that is the culmination of the painstaking scientific inquiry and research that has allowed our species to tame some of the more dangerous members of microbial world. Thanks to the talented Frankie Shaw for making this point so clearly, dramatically, and entertainingly. One of my general principles when treating and diagnosing infectious diseases is to try and pursue a cause as far as I can. With a specific cause, one can discontinue treatments that were being used to cover all possibilities and provide as specific targeted therapy as is available. In addition to immediate treatment related implications there are others that, while not changing treatment (a mantra I hear all too often), are vitally important: infection control and epidemiologic intelligence. When a hospitalized person with pneumonia is diagnosed with a specific virus such as, for example, parainfluenza virus for which there is not a specific antiviral treatment several things happen which include discontinuation of antibiotics (hopefully) and placement of the patient in droplet isolation to prevent contagion. However, if the specific diagnosis is not made the patient will languish on the floor marinating in antibiotics while coughing the virus onto his roommate and others. A recent news story from a suburban Pittsburgh newspaper highlights the other important aspect of specific diagnoses: epidemiologic intelligence. The piece details a 74% uptick in the number of pneumonia cases in young adults diagnosed in a chain of urgent care centers in the area. This cluster of illnesses is important and interesting as influenza season really hasn't fully commenced in the region. However, what strikes me about this episode is that there seems to be no effort to understand which microbe is behind the cases: is it parainfluenza, an adenovirus, mycoplasma, RSV, a rhinovirus, a coronaviruses, legionella, pneumococci or some combination of different viruses and bacteria? Unfortunately, that is something that urgent care centers not associated with hospitals tend never to pursue because "it doesn't change patient care" despite the fact that it could have crucial epidemiologic importance. In many ways urgent care centers are places where symptomatic treatment without regard to causation is the norm and expected treatment paradigm. What if these undiagnosed cases contain new microbes making their first forays into humans? What if there are important changes in viral prevalence occurring? We probably won't know because no diagnostic tests were likely done. Also, a good proportion of those cases are likely viral in nature but invariably were given a "Z-pack" nonetheless or potentially harmful steroids. To me exploring these syndromes to identify the cause is what the specialty of infectious diseases is about. 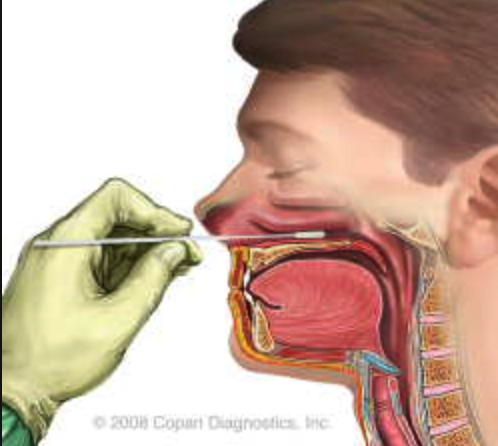 To me, in 2017, when there are multiple diagnostic tools in relatively easy reach in the US ranging from point-of-care influenza molecular diagnostic tests to multiple pathogen assays (also point of care) that there really should be no barrier to ordering these tests, especially at urgent care centers where patients are insured. The diagnostic black hole in infectious disease in developed countries really baffling to me and makes no sense given that microbes have no borders. Recall that the 2009 H1N1 influenza virus emerged in Mexico and was first recognized in San Diego in a patient with mild symptoms who happened to have a diagnostic test that "doesn't change treatment" ordered. The diagnostic test you order or fail to order may be more consequential than you think. It's hard to write a humorous but yet historically and scientifically sound account of plagues that have thrown our species into calamity time and time again. Yet, Jennifer Wright does just that in Get Well Soon: History's Worst Plagues and the Heroes that Fought Them. In this easily digestible book, Wright covers topics very familiar to connoisseurs of death and destruction due to infectious diseases such as syphilis, typhoid, plague, cholera, smallpox, and tuberculosis but also ones that received comparatively less attention but are nevertheless endlessly fascinating such as Von Economo's encephalitis, the dancing plague, and a human-induced plague of lobotomies for psychiatric illness. Integrated into the narratives of these episodes is not just humor but many important recommendations for how to deal with infectious disease emergencies. For example, in her account of the 1918 influenza pandemic Wright highlights the constraining effects of WWI laws in the US prohibiting journalists from writing about anything that could diminish morale. Wright explodes the sheer insanity and backwardness of such an approach, in what I believe to be the most valuable chapter of her book. These lessons need learning as evidenced by the 2003 experience of SARS in China and the ongoing campaign to call cholera just "acute watery diarrhea" in parts of Africa. For a great overview and uncanny insights into history's plague's I highly recommend Get Well Soon and hope that Ms. Wright continues to apply her considerable talent to these topics in the future.